End of the year 2011 in the city of Yogyakarta will feel different. Therefore, a concert entitled 'New Year's Eve Celebration Jazz Spectacular' will be held at the close of 2011's. Four well-known jazz musicians in Indonesia such as Tompi, idang Rasjidi, Sadhu Rasjidi, and Echa Soemantri will gig together in one band at a concert held at the Hyatt Regency Yogyakarta. 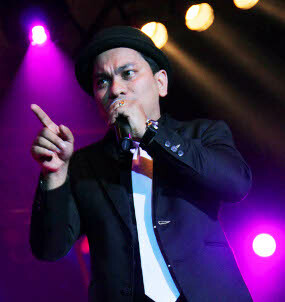 Tompi, one of the musicians who fill concert admitted accidentally formed this collaboration. He said they were proud to create a joint project with musicians who have been idang Rasjidi in existence for 40 years in the Jazz line. "I, idang Rasjidi, Echa Soemantri, and Shadu formed the band with a new format. This is my latest project. We will be presenting the show which is different from usual," said Tompi told reporters on Wednesday (12/14/2011). Eagles concert that was held by Indonesia would be held with the concept of an intimate and elegant. The promoter had promised to give the show a fit with the headline concert. "These four will join the Jazz maestro and presenting great live music in an exotic venue. This will be a spectacular night for the audience. It is exclusive because we only provide 500 tickets only, very limited," said CEO Rajawali Indonesia Communication, Anas S. Alimi . Copyright © 2011 Infotainment. All Rights Reserved.